See Baby’s Heart Beat at 4.5 Weeks After Fertilization – Pro Life Legal Defense Fund, Inc. 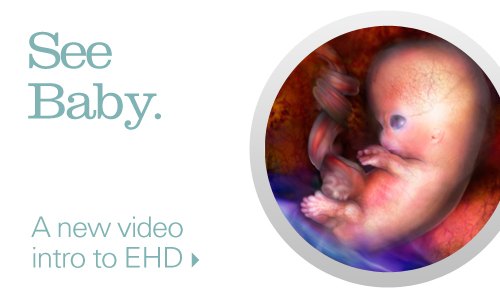 The video clip shown here reveals a real human, beating heart just 4.5 weeks following fertilization (6.5 weeks since the last menstrual period). This is a phenomenal tool for pro-life advocacy that can be accessed from a FREE app. The simplest way to get the app is to visit www.ehd.org/apps with your mobile device and Wi-Fi connection. This page provides the app names along with direct links to Apple’s App Stores and Google’s Play Stores around the world. Please consider visiting the website for the Endowment for Human Development and sharing the free apps described above.